Winner of “Best American DJ” at the IDMA’s, Christopher Lawrence is recognized worldwide as one of the World's top DJs and producers. 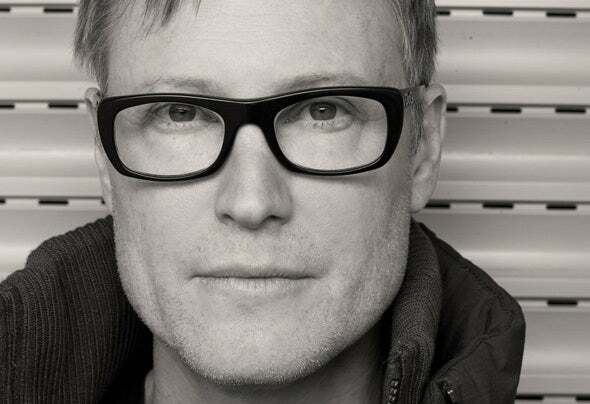 Dubbed "A Superstar DJ" by the US’s URB and “One Of The Most Popular DJs On The Global Circuit” by DJ Magazine, Christopher Lawrence is one of the most respected names in dance music today. From the world’s biggest festivals and clubs to the darkest downtown afterhours, he is considered a key player in the globaldance scene. Christopher’s integrity and lifelong commitment to underground trance has made him a legend and earned him the widespread respect of fans and industry alike. Over the past few years, Christopher has received numerous awards and accolades. Ranked #4 in DJ Mag’s Top 100 for 2007, he is also a winner of DJ Times“America’s Best DJ” award. A recipient of "Best DJ" at both the Dancestar US Awards and Los Angeles Music Awards, Christopher has been nominated in Dancestar UK Awards, DJ Awards, International Trance Awards and the Global DJ Mix Awards. He has graced the covers of countless magazines, newspapers and publications worldwide, and is the only DJ to make the cover of America’s DJ Times magazine twice in one year. Christopher Lawrence’s name can be found at the world’s top clubs from Pacha and Gods Kitchen to Avalon Hollywood. On the festival front, you can find him at Coachella, Electric Daisy Carnival, Dance Valley, Ultra Music Festival and Creamfields to name a few. He was also the only DJ invited to headline all three of the inaugural Ministry Of Sound, Cream and Gatecrasher tours of America. Described as "A Highly Respected Producer" by Mixmag, Christopher received a preliminary Grammy nominee for his single Renegade. A trance pioneer since the nineties when he signed with Hook Recordings, Christopher’s tracks have been hammered by DJs from Armin van Buuren, Ferry Corsten, Paul van Dyk and Tiesto to Paul Oakenfold. Christopher’s reputation as a producer is superlative with a discography including two chart topping artist albums ‘All or Nothing’ and ‘Un-Hooked’ along with singles ‘Tremor’, ‘Faith in the Future’, ‘Little Rush’, ‘Freefall’, ‘Continuation’, ‘Beyond the Limit’, ‘Scorcher’, ‘Shredder’ and 'Rush Hour’ to name a few. On the remix front, Christopher has lent his talents to artists from LMFAO to U2. Beyond the dance world, Christopher’s music has appeared on TV shows from MTV’s ‘Real World’ to ‘Hotwheelz’, as well as computer games including ‘Need for Speed 2’. Christopher also recently signed an exclusive remix deal with Motorola for their forthcoming series of international mobile phones. Christopher is currently working on his third artist album, due Fall 2013. Christopher’s label Pharmacy Music is dedicated to the new sound of underground trance. The label is a leader in the underground movement where quality music, skilled DJs and dark club nights take precedence. It’s tough, take no prisoners trance is designed first and foremost for the dance floor and for serious music fans. In 2011, Pharmacy launched a series of successful sell out label club nights in the United States. On the airwaves, Christopher recently celebrated the five year anniversary of his radio show ‘Rush Hour’ which is one of the most popular underground trance shows on the air with syndication on Digitally Imported and 120+ FM stations around the world, plus an iTunes podcast. Christopher is also a guest resident on Sirius XM’s Electric Area. Over the past decade, Christopher has also established himself as one of the US's biggest selling DJs. He released a string of record breaking mix compilations including ‘Rush Hour’, ‘United States of Trance’, ‘Gatecrasher: Live in Moscow’ (MOS), ‘Unfold’ and ‘Global Trance Grooves Presents Two Tribes’ with whom he joined forces UK trance legend John '00' Fleming under the moniker “Fleming & Lawrence”. Most recently, Christopher delivered ‘Pharmacy: Phase 1’, the groundbreaking first installment in his label’s new mix compilation. In the world of international dance culture, there are DJs who are leaders and those who are followers. Christopher Lawrence is a true leader.